In the middle of life some people have found what their hair falling out. Hair can fall out due to a variety of reasons, with some being easily preventable and treatable, and others requiring extensive prevention and treatment. Here are some common reasons why hair falls out. A common reason for hair loss is telogen effluvium, which usually occurs after periods of intense stress, a major surgery, pregnancy, or when a lot of weight is lost. 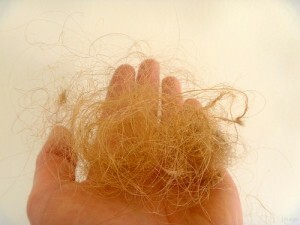 The condition causes hair to fall out in large parts during activities when the hair is pulled, such as during brushing, shampooing, or styling. Taking beta-blockers, anti-inflammatory, and antidepressant drugs can sometimes cause the condition as a side effect. While the condition is active, the hair moves quickly from its growth state to its resting state and then quickly into a shedding state. Time, stress relief, and lessening the dosage of drugs can help treat this condition. It also can happen with hair, because of iron deficiency anemia. Iron deficiency anemia usually occurs in women who have diets lacking in iron or who experience heavy menstrual cycles. When your body doesn’t have enough iron, the red blood cell count will be low. Red blood cells are needed for oxygen transportation and to give the body energy. Aside from hair problems, those with the condition will experience fatigue, pale skin, headaches, weakness, shortness of breath during exertion, and cold feet and hands. 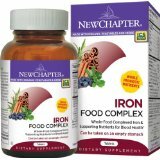 Increasing iron intake through iron rich foods and supplements can treat this condition. Hypothyroidism and hyperthyroidism are two thyroid conditions that affect millions, especially women. Hypothyroidism occurs when the body has an under active thyroid and doesn’t produce enough thyroid hormone, and hyperthyroidism occurs if your body has an overactive thyroid and produces too much of the hormone. The thyroid hormone is used to regulate heart rate, mood, and metabolic rate, which allows the body to control hair, skin, and nail growth, and when either condition occurs, hair loss can be present. Thyroid hormones can be taken to help balance thyroid hormone levels. Excessive styling can also lead to hair start to fall out. The tresses of your hair can be harmed through constant hair dyeing, shampooing and styling. Using chemicals and heat to style hair can also cause the hair to weaken and break. Combining keratin, coloring, and blow drying is the most common way that styling damages hair. Hair falls out due to styling will be identifiable by a lack of telogen bulbs at the ends, which won’t occur from breakage. Cutting back on the usage of appliances to dry or style the hair, intense color dyes, and hardening sprays or gels to prevent baldness. Once you notice this problem, don’t hesitate to do something about it. Check the list of vitamins for hair growth, visit the doctor. The longer you wait, the worse the problem will become, and you may reach a point where your hair may be completely gone and there will be nothing that you can do to stop it. Common reasons for this problem have been outlined here, and if you are experiencing any of them, do what you can while you still can.